For decluttering purposes, everything needs to have its own space where it’s kept. However, you can be faced with a nightmare if you don’t have space in your bathroom. To maximize your storage space, getting custom-made cabinets allows you to be organized and uncluttered. With them, you’ll be able to maximize the use of the available storage space. Everything that you most often use will be kept at places that you can easily reach. You may also have drawers with outlets that are duplex to allow you to keep the most vital items at close proximity to you. With these customized storage spaces in your en-suite bathroom, you’ll end up with quite a beautiful appearance and usability. Another great feature of an en-suite bathroom is the use of uniquely designed tiles. They have the capacity to add sparkle, colour and interest to your bathroom. With specially customized mosaics, you can also provide a look that’s unique. You don’t necessarily have to fully commit to the wall as points of interest can be quite beautiful and catch attention. Also, with these tiles, you have an awesome way of incorporating materials that are fun such as mirrors and marbles on the walls of your room. Lighting for the bathroom should be planned for the different periods of the day. For instance, in the morning, great general lighting is suitable for preparing in the morning when you wake up. However, at night, the only thing you may be interested in is to decompress. The soothing effect of indirect accent lighting is more appropriate. But, to be able to add all the required fixtures can be quite challenging if you are to keep the environment serene. Therefore, the best idea is to place the lighting in unobtrusive places like behind the mirror for the provision of lighting at all hours. To make your bathroom more welcoming, you need to have clean, clear spaces as well as sleek lines and glass countertops. The beauty of glass is that it makes your place look fresh and is extremely durable. To have your own look in your en-suite bathroom, you can make use of modern materials. 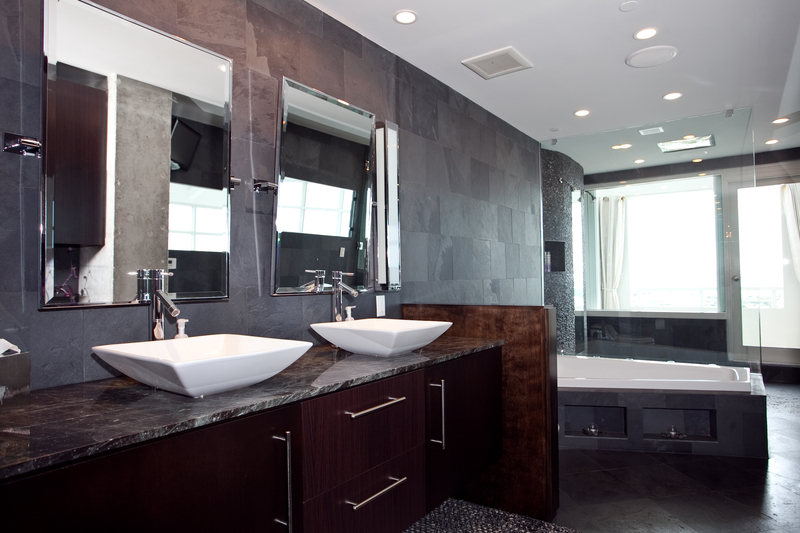 Most people don’t think that the hardware can add a good amount of beauty to their bathrooms. You can have your own custom-shaped hardware to add aesthetic value to your bathroom. It’s upon an individual to make their own choices to add to their rooms. These 5 features are at the top of the list of what an en-suite bathroom needs to look great. If you want to customize the look of the room to catch attention, these are the best options.